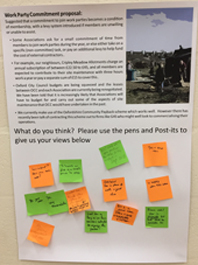 The Allotment Association AGM took place on 12th April at the West Oxford Community Centre. You can find the paperwork via the link below (minutes are available here). 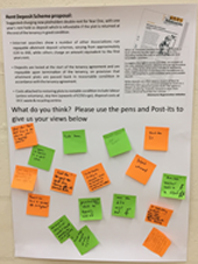 We took the opportunity before the AGM business started to consult members on a couple of ideas that have been suggested over the previous year, and also to ask them for things which the Association might undertake in the future. Clicking on the images below will lead to a PDF summary of the flip-chart sheet. 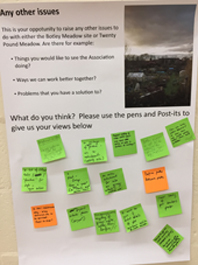 If you missed the AGM and would like to make a comment, the flip chart sheets will be posted up in the allotment shop or you can email your comment to the Secretary.